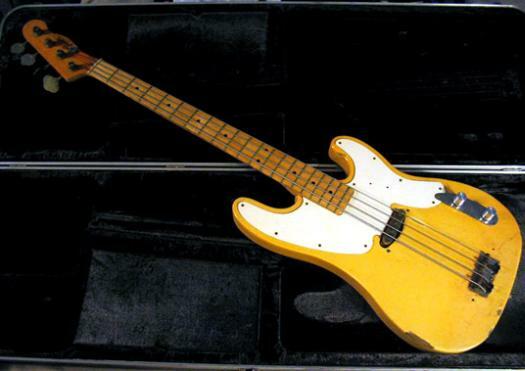 The bass that was played on the Shirkers' version of Drunk and Disorderly. Doesn't quite fit in here, but fuckit, it's cool. Currently in the possession of Mike Donegan, who sez, "It's quite the artifact."